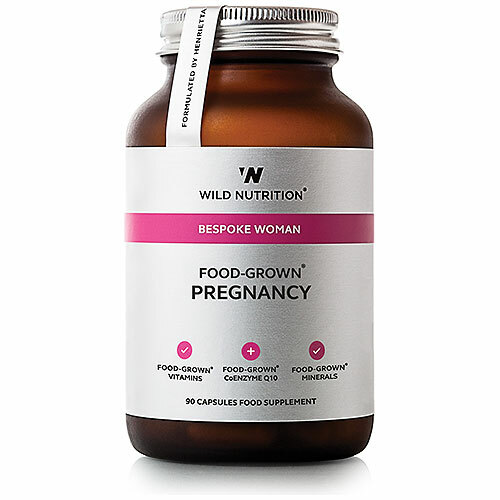 Wild Nutrition’s Pregnancy Support Pack provides the essential vitamins and minerals needed for a healthy pregnancy and breastfeeding, including 400ug of folic acid as natural Food-Grown folate, Vitamin D, Iron and Vitamin B12. 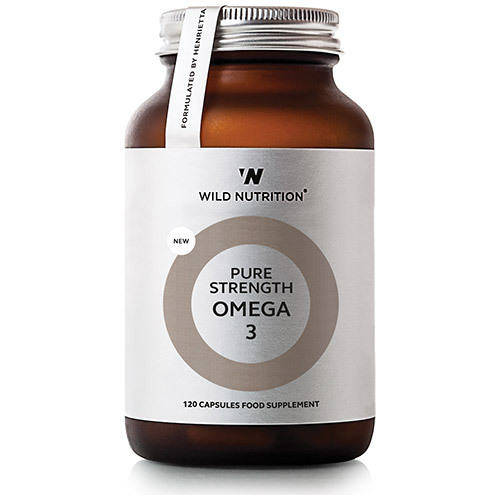 This Pregnancy formula is supporting by Wild Nutrition`s Pure Strength Omega 3 providing 800mg of EPA and 400mg of DHA from MSC certified, sustainable Alaskan Pollock. Food-Grown Pregnancy:Lithothamnium (red algae) powder (providing Calcium), Seawater (providing Magnesium), Nutrient-enhanced Yeast (providing Iron, Selenium, Folic acid (as naturally occuring Folate), Boron, Niacinamide, CoEnzyme Q10, Inositol, Choline, Manganese, Riboflavin, GTF Chromium, Biotin, Vitamin B6, Vitamin B12, Molybdenum, Thiamin, Iodine, Vitamin K1, Vitamin D3), Vegetable cellulose (capsule shell), Mineral-enhanced Lactobacillus Bulgaricus (providing: Zinc, Pantothenic acid, Copper), Vitamin C incorporated into citrus pulp, Carrot preparation (providing: Beta-Carotene), Yellow pea (providing: Vitamin E), Alpha Lipoic acid. Pure Strength Omega 3:Fish Oil Concentrate (Fish), Capsule Shell (Gelatin (Fish), Glycerol), Antioxidant (Mixed tocopherols). Food-Grown Pregnancy:3 capsules per day with or without food. Pure Strength Omega 3:4 capsules per day with or without food. Below are reviews of Wild Nutrition Pregnancy Support Pack by bodykind customers. If you have tried this product we'd love to hear what you think so please leave a review. Wild Nutrition’s Pregnancy Support Pack provides the essential vitamins and minerals needed for a healthy pregnancy and for breastfeeding.